We are excited to announce that Hollydale will be celebrating World Book Day on Thursday 1st March 2018. 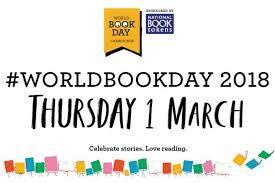 World Book Day celebrates the joy and value of books and reading, especially for children. All children are invited to dress up as their favourite book character on Thursday 1st March. Selected children with winning costumes will receive prizes and all children will have the chance to participate in a World Book Day Parade! Creativity and imagination is encouraged, there is no need to purchase a special costume! Finally, every child will receive a £1 World Book Token that can either be exchanged for one of TEN special £1 World Book Day books or used to get £1 off any book costing £2.50 or more. You can find out more about the books at worldbookday.com/books. CLICK HERE to find out more about World Book Day.